What will our trusty reviewer David think of the just-released self-titled debut album by US pop quartet DNCE? There’s only one way to find out – and that’s to read on. Earlier this year a song came on the radio that was quite catchy but had a ridiculous set of lyrics. It didn’t matter, however, as it captured the attention of pop music fans the country over. ‘Cake By The Ocean’ was lead single from new band DNCE and featured a Jonas brother on vocals. Several months later and we have their debut self-titled album. Joe Jonas kept his involvement in the band quiet at first as he didn’t want peoples’ perceptions to be influenced by his pop past with his brothers. This was likely a smart move as this album is a polished and catchy affair without any prejudice towards his time in the Jonas Brothers. It’s helped create a new sound without it being a bit tween. If I had to describe the sound of the band I’d start out with “funky and soulful”. Most of the tracks feel like a group of friends grooving together and it really works. There is something magical in the composition of the tracks here. One of the collaborators on the album is Justin Tranter (of Semi-Precious Weapons fame) and the songs he’s co-written are amongst the catchiest tracks on offer. Album opener (and subsequent inspiration for their band name) ‘DNCE’ is a fun and funky track. ‘Body Moves’ is modern yet classic and has a great bass line to groove along to. And, of course, lead single ‘Cake By The Ocean’ is still catchy all these months later. There is a bit of an ’80s vibe on display here too with some of the harmonies and instrumentation; ‘Doctor You’ almost feels like a nod to Michael Jackson mixed with David Bowie. They blend genres effortlessly throughout to create some enjoyable tunes. 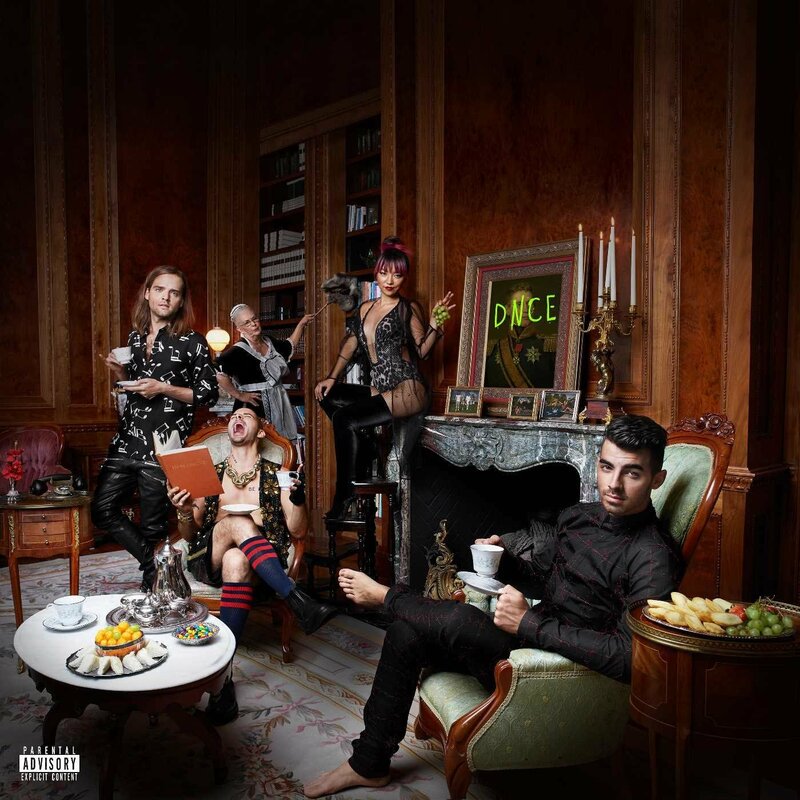 DNCE has created a great debut album. It’s just a shame it was released in the chaos that is Q4. It hasn’t charted as well as it should have, but with a little bit of promo and an appearance on TV, that problem might just be solved in the new year. MUST LISTEN : Body Moves, Cake By The Ocean, Truthfully.